I never heard of Girl Scouts when I was a little girl. We had 4-H instead. I did know about Boy Scouts, because Dad’s friend Hal King was a Troop Leader. He had a uniform and everything, just like he was still in the army. Loren Dee-dee-bopper was still in diapers and my other brothers were just twinkles in Dad’s eye when he took me and Bonita and Deanna to the Boy Scout Camp. That’s why we knew next to nothing about boys. Deanna’s best friend Nancy from across the street went along, plus her dad. Probably all the moms and Dougie and probably little Vickie and Loren Dee-dee-bopper, but this story is about an eye-opening discovery made by little girls. Hal King’s Boy Scout Camp was way far away in the wood, full of tall pine trees all growing close together. I loved to climb trees and the best tree to climb are pines because of all the branches sticking straight out and even, just like a ladder. 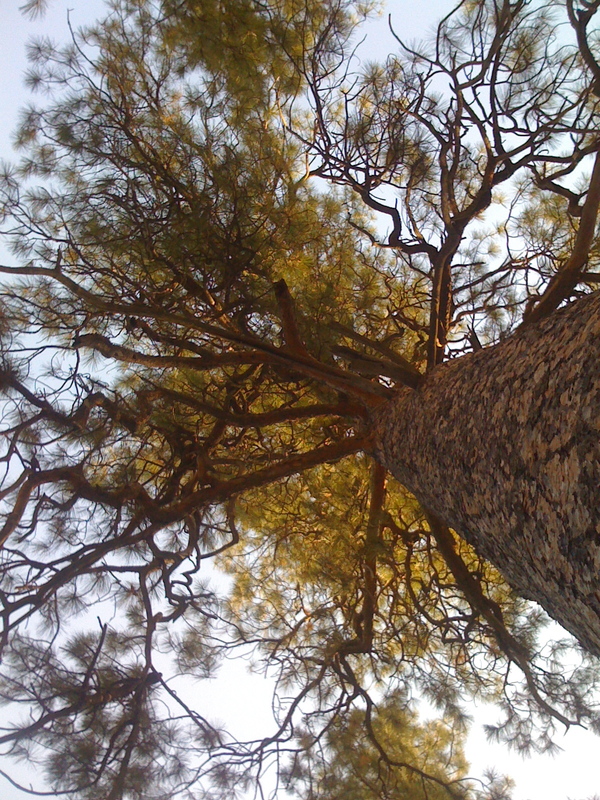 Plus, pine trees grow super-tall, so I could get way, way up there out of sight and shout down to Mom to find me. No matter how many times I did that, she said, “Oh my. What are you doing up there? Come down this instant before you break your neck.” I never did break my neck, or any other bone in my whole entire body. Anyways, when we went to Hal King’s Boy Scout Camp, I only got to listen to the pines whispering way up high with stars shining down. Plus it wasn’t even summer time, the best time of all to climb trees. It was frosty fall. Girls are never allowed at Boy Scout Camp. Bonnie and Deanna and Nancy and I got to go ’cause for one thing, all the boys were gone, and for another thing, it was Hal King’s Boy Scout Camp and he said we could. Still, even Hal King knew better than to bring girls to a Boy Scout Camp while boys were there. That would be like Father taking us all to a Methodist Church service. No way, José; no can do. After that you learn a bunch of stuff about taking care of animals and growing flowers and vegetables, and cooking and sewing and knitting, so you can win ribbons and if you’re really good, go to State Fair. 4-H is more like church: you memorize prayers, go to mass, and then you go out and try to be good enough to get to heaven. Anyways, at Hal King’s Boy Scout Camp the boys camped, but not like we camped when we went on vacation. Some Boy Scouts had tinsy tents they just threw over a tree; those were only big enough for one boy. Other Boy Scouts had big tents that went over a cement floor about two feet off the ground. Those boys got cots to sleep on and they never had to worry about water seeping in under the tent. The Leaders, like Hal King had cabins to sleep in. Hal King’s Boy Scout Camp had absolutely no girls bathrooms. We had to go in the Boys’. I never went in a boys’ bathroom before, but Hal King told us it was okay, ’cause there were no boys there except brothers and the dads would keep the brothers out while Deanna and Nancy and Bonita and I were in there. Whoa, that bathroom was something else. 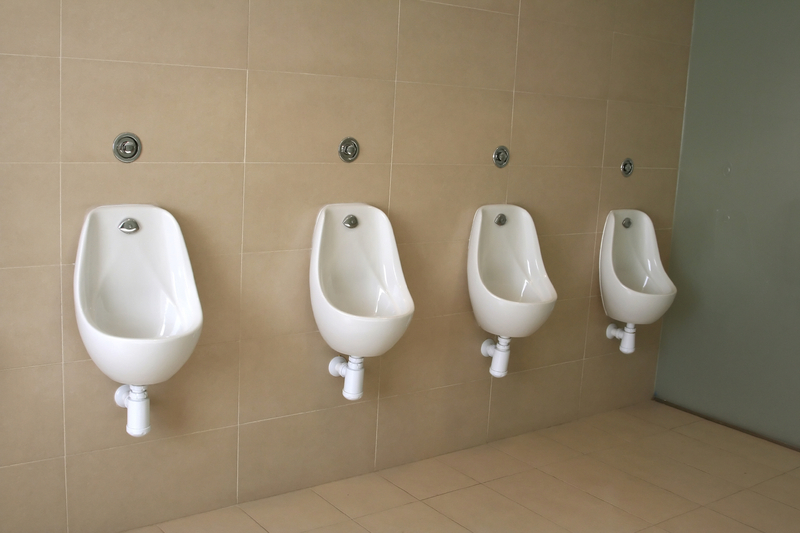 Boys have toilets in stalls, just like girls, but no doors on the stalls, They had a big round sink with a pedal so lots of people can wash their hands at the same time, same as girls do. There’s something else: boys had some funny-looking white sinks with mothballs in the bottom, and no faucets. “What are these things?” Bonita said. “That’s for going number 1,” said Nancy with her chest all puffed up and proud to know something we didn’t. “Boys have a separate place for number 1. They only go number 2 in the regular toilet.” She knew on account of having a brother big enough to go to the boys’ bathroom. “Do you have one of theses at home?” Deanna said. “There only for school bathrooms, and other places where there are lots of boys.” Nancy sure knew a lot of stuff about boys. I was in the dark on account of my brother was still in diapers. “What are the mothballs in there for?” I said. “So they don’t stink up the place,” Nancy said. “Holy makeral,” I said. “Boys’ number one must be worse than a skunk, if mothballs smell better.” We never said pee or poop, ’cause that was almost as bad as taking the Lord’s name in vain, except it just got Mom mad, which was a sin, but not as bad a sin as making God mad. We stood around looking at the those funny things wondering what we should do because maybe it was against the rules to go number 1 in the regular toilet if you were in the boys’ bathroom. “How do they get up there?” Deanna said. She decided to just use the regular toilet. Nancy boosted Bonita up, then dropped her drawers and leaped up on another one. I was still standing there, back to the wall, jeans unbuttoned, thinking things over. I was trying to figure out what to do to avoid the mothballs, when in struts a big teenager guy, minding his own business, never expecting to see girls in the boys’ bathroom. Nancy jumped down off the number 1 toilet and dashed into the stall with no door with her jeans trailing down around her ankles, and Bonita scootched her but down as far as she could, her legs dangling, stuck up there all by her lonesome. That teenager guy’s eyes flew open so wide, I thought they might not ever go back in. “Whoa!” he said. He turned tail and got out of there before Nancy even made it all the way into the stall. “See I told you not to do that,” said Deanna all smug and sitting private in the stall with no door. I kept on wondering why are things so complicated for boys. Why can’t they just go number 1 sitting down in the same place they go number 2? Sometimes I still wonder about that. Men still are a bit of a mystery to me. Still, the lines for the men’s room are always shorter than those at the women’s. So they must be on to something. Adela, nobody tells a story better than you. Your easy style reminds me of Fanny Flagg. Have you ever read Standing in the Rainbow? You would love it. I don’t see why you couldn’t write a book like that. i think once you read Fanny’s book (Standing in the Rainbow), you will see what I mean when I say you could write a book like that. I keep finding these hidden gems in One A Little Girl. Adela’s unique perspective and writing style just leaves you with vivid mental pictures of childhood. There are so many things I love about this post I wouldn’t know where to begin. I, too, believe boys are still very much a mystery.